‘Twas the Night Before Christmas (…and I drank way too much!) - Harrison White, P.C. If you find yourself indulging in too much celebration over the holidays, please remember to NOT drink and drive. I don’t mean to not have a drink in your hand while you are operating a motor vehicle; I mean DO NOT drive after having too many adult beverages. For some, “too many” may mean just one drink, especially depending on what you are drinking. You must also factor in your tolerance, your metabolism and your weight. Age is also a factor. So, what should you do when the holiday cheer becomes a little too much? Get someone to drive you home or to your next destination. If you cannot find a friend to drive you, call a cab. There is really no excuse to drive a vehicle while impaired. South Carolina also recognizes that there is no excuse. However, if the police stop you, cooperate with them. Answer their general questions about your name, date of birth, even your address. You can discuss the weather, your children or grandchildren, even your favorite candidate for President…but you cannot and should not discuss or disclose how many drinks you have had. When asked to exit the vehicle, do so and do so happily. You do NOT have to comply with requests to engage in the exercise of field sobriety tests (the nine step heel-to-toe and turn; the one-leg-stand-and-balance; and the horizontal gage nystagmus test, better known as HGN when you follow the pen with your eyes.) Politely tell the officer you do not wish to take these roadside tests. Your failure to do so is not evidence of whether or not you are impaired; however, failing the tests could be used as direct evidence against you at some later date with a judge and jury. If you are arrested and taken to jail and offered an alcohol breath test, you may want to refuse. The police officer may tell you that you will lose your license to drive if you refuse test, and this is TRUE. However, if you produce a breath sample of .15 or higher you will lose your license anyway, and now the officer has evidence of your sobriety (or lack thereof)! So, it may be in your best interest to “just say no” …with much love and respect. Should your license be suspended at the time of the breath test, call me to find out how I can help you get your driving privileges restored and get you back on the road—sober, of course. 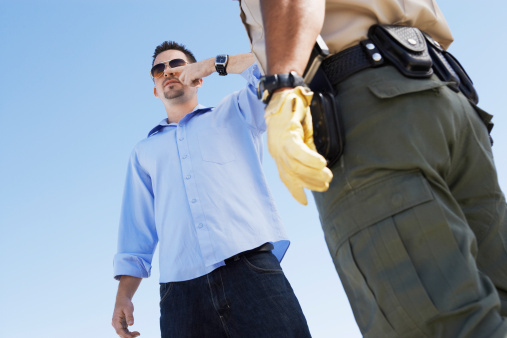 I am happy to walk you through what is a very complex DUI law. There are many collateral consequences after you have been arrested and accused of driving under the influence. Like you have heard, “folks, do not try this at home.” You should not handle your case without the help of an attorney. Please feel free to call me on my cell any time at 864-809-1226. I will actually answer your call!